Suporte Um Teclado Roland KS-20X. Cor: Black. 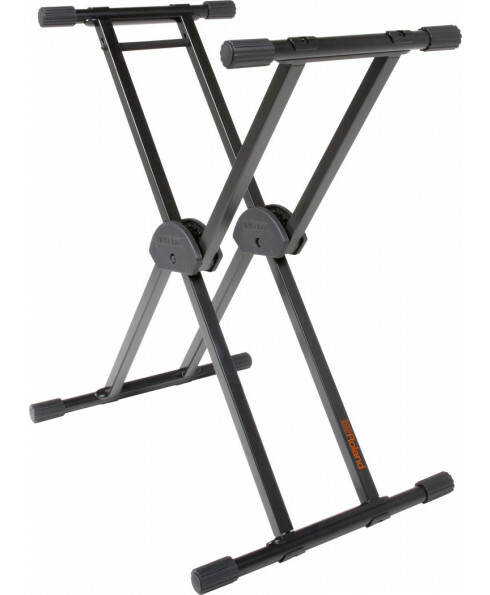 The KS-20X takes the classic offset-X stand design and enhances it with double bracing for increased rigidity. This makes it suitable for most types of keyboards for stage and studio use, including 88-note models. 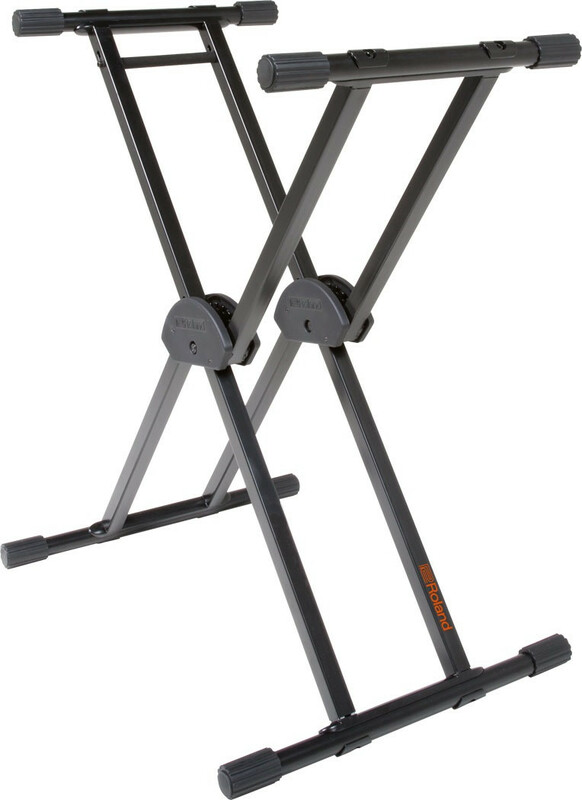 The KS-20X takes the classic offset-X stand design and enhances it with double bracing for increased rigidity. This makes it suitable for most types of keyboards for stage and studio use, including 88-note models. A spring-loaded lever with locking clutch provides quick and easy height adjustment, while adjustable rubber sleeves provide instrument support and solid stability on uneven surfaces.